Our product range includes a wide range of temodal temozolomide capsule, pharmaceutical drug, natulan procarbazine capsule, ceenu lomustine capsule, veenat tablets and pharmaceutical ointments. Leveraging on our vast experience of this domain, we are offering highly effective Temodal. Processed using best quality ingredients in accurate composition, this medicine contain the active substance temozolomide. Offered medicine is commonly used in the oncology centers to treat malignant glioma (brain tumors). Further, we assure the safe and effective packaging of these medicines. 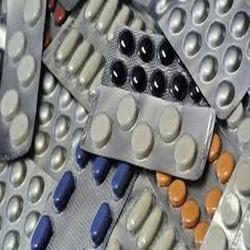 We are one of the celebrated names of the industry that engages in offering qualitative range of Pharmaceutical Drug. Accurately composed and extremely effective, these Pancuronium Bromide Injection are processed in accordance with the predefined industry standards at well equipped manufacturing unit. Offered Pancuronium Bromide Injection exhibits longer shelf life. These are free from any kind of flaws and are developed as per the demand in the market. Further our offered range is available at industry leading prices. 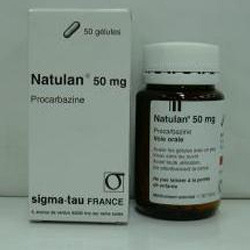 We are a trusted name, which is engaged in offering Natulan Procarbazine Capsule. 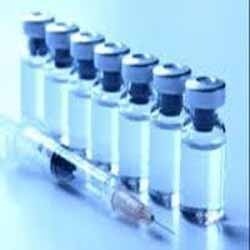 Our team of professionals has processed this medicine in accordance with the FDA laid norms. This is a cytostatic agent and works against cancer cells. It is commonly used in the oncology centers for the treatment of cancer. 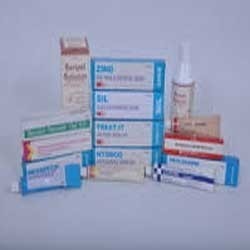 Clients can avail these medicines from us in safe and hygienic packaging. Ceenu Lomustine is used to treat various types of cancer. Ceenu Lomustine belongs to a class of drugs known as alkylating agents. It works by slowing or stopping the growth of cancer cells. Ceenu may be given orally. Following oral administration of radioactive CeeNU at doses ranging from 30 mg/m2 to 100 mg/m2, about half of the radioactivity given was excreted in the urine in the form of degradation products within 24 hours. 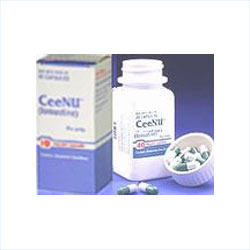 CeeNU is available in 10 mg, 40 mg, and 100 mg capsules for oral administration. 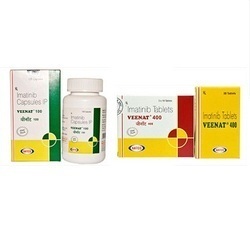 Veenat-Imatinib: Veenat contains imatinib and belongs to a class of medications known as protein-tyrosine kinase inhibitor. Mechanism of Action:Veenat works by blocking the action of an abnormal protein that promotes the multiplication of cancer cells. This helps slow or stop the spread of cancer cells. Supplied as:veenat is available in 100mg & 400mg tablets or capsules. Dosage: veenat is usually taken once a day. Precautions & Warnings: Veenat should not be taken without consulting your doctor if you have ever had pulmonary fibrosis (scarring of the lungs), or liver or kidney disease, bone marrow problems, low white blood cell levels, or low blood platelet levels or if you have had your thyroid gland removed and if you have a history of swelling (edema) or fluid retention. Our company has gained immense accolades in the field of offering Pharmaceutical Ointments to the clients. Steroid Injections is known for having properties for development of various masculine characteristics. These products are generally used to increase the protein synthesis rate within cells and result in building up of cellular tissue in muscles. Offered range is formulated using quality ingredients and latest techniques. These products are reckoned for accurate composition, high effectiveness and are free from side effects. We are one of the celebrated names of the industry that engages in offering qualitative range of Pharmaceutical Injectables. Accurately composed and extremely effective, these Pancuronium Bromide Injection are processed in accordance with the predefined industry standards at well equipped manufacturing unit. Offered Pancuronium Bromide Injection exhibits longer shelf life. These are free from any kind of flaws and are developed as per the demand in the market. Further our offered range is available at industry leading prices. Looking for Anticancer Pharmaceutical Products ?